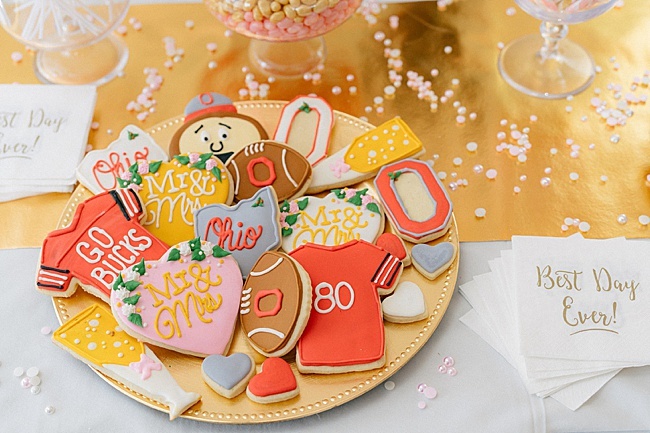 Shanda is a huge Ohio State Buckeyes fan, and she always knew who Chris was since he played football for the school. 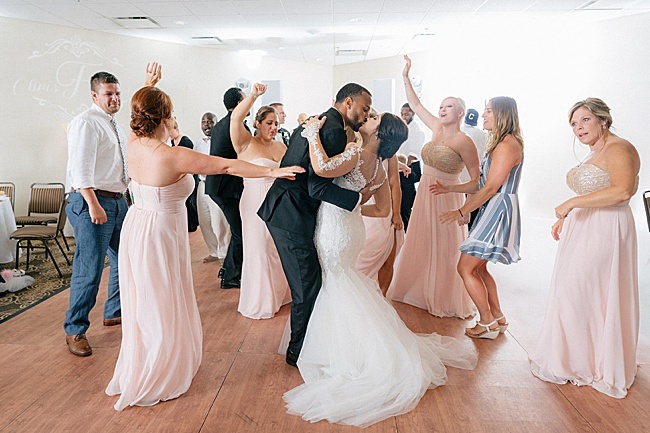 They ended up meeting out with mutual friends and immediately hit it off, moving in together after just six months of dating. 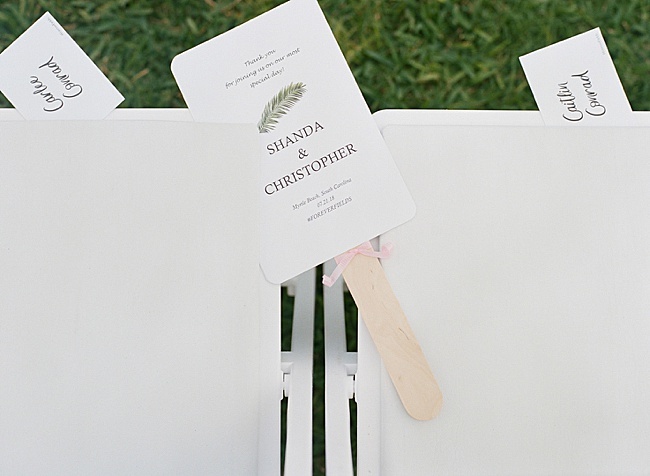 After two years as a couple, Chris planned a special day for Shanda’s birthday. 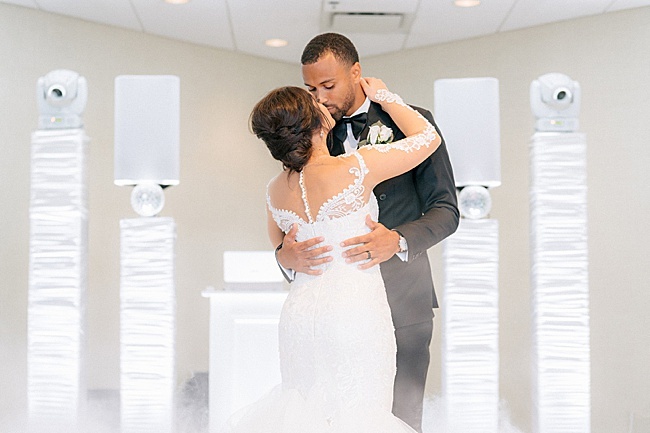 They went to “The Shoe” (the Ohio State football stadium) since it is the most important place for Chris after spending five years playing there. 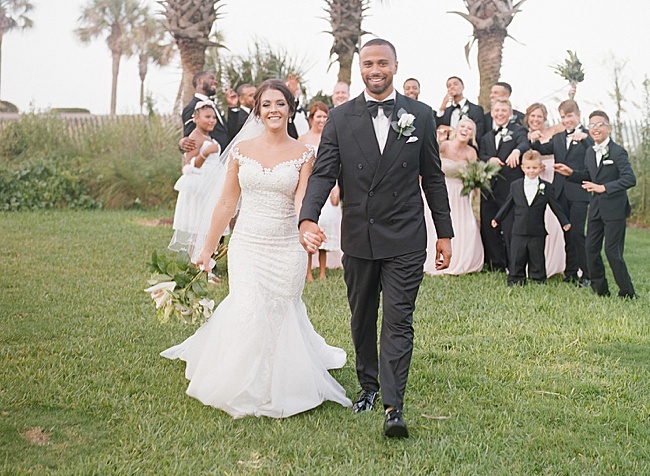 As they walked through the tunnel, Shanda spotted a photographer and the couple’s families standing in the end zone. 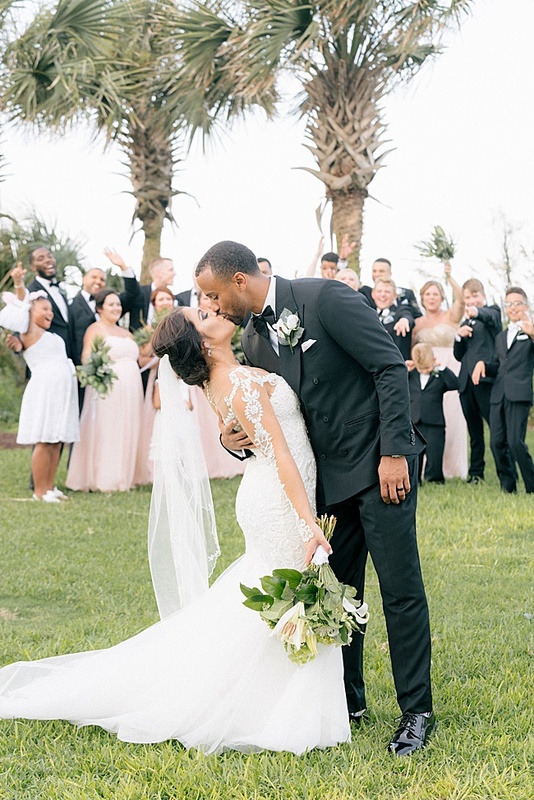 They began cheering, and Chris explained his love for her in front of the people who meant the most to them before getting down on one knee. 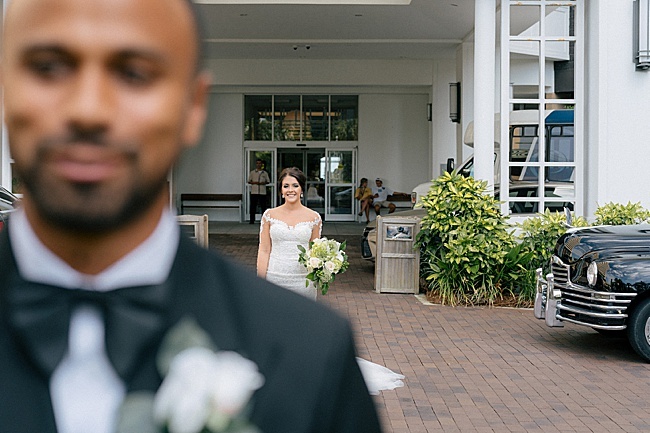 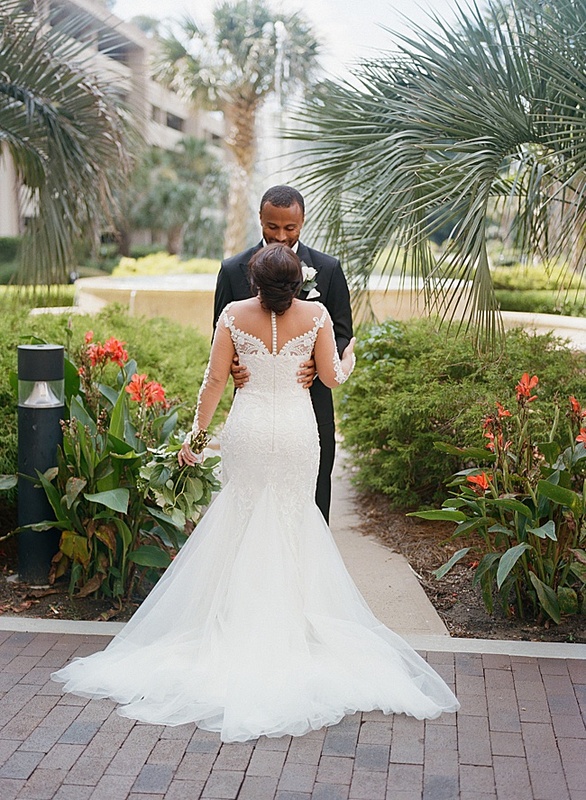 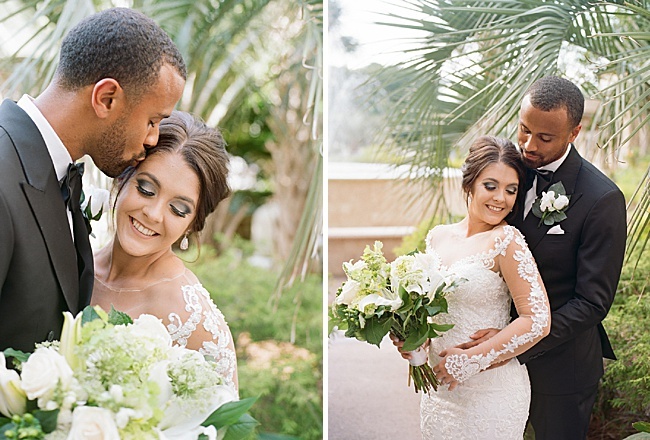 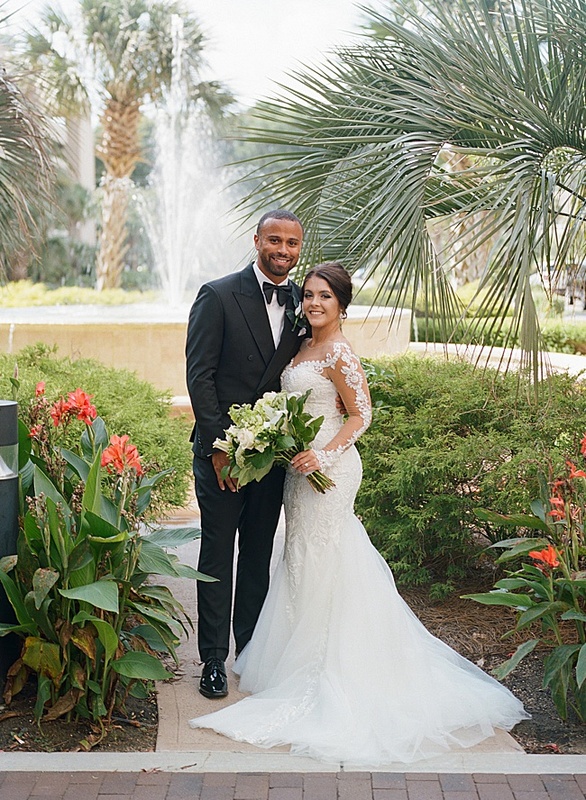 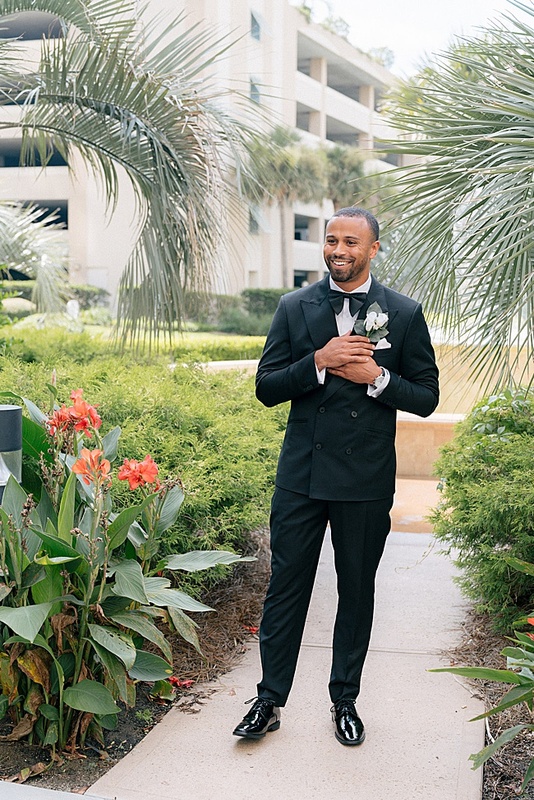 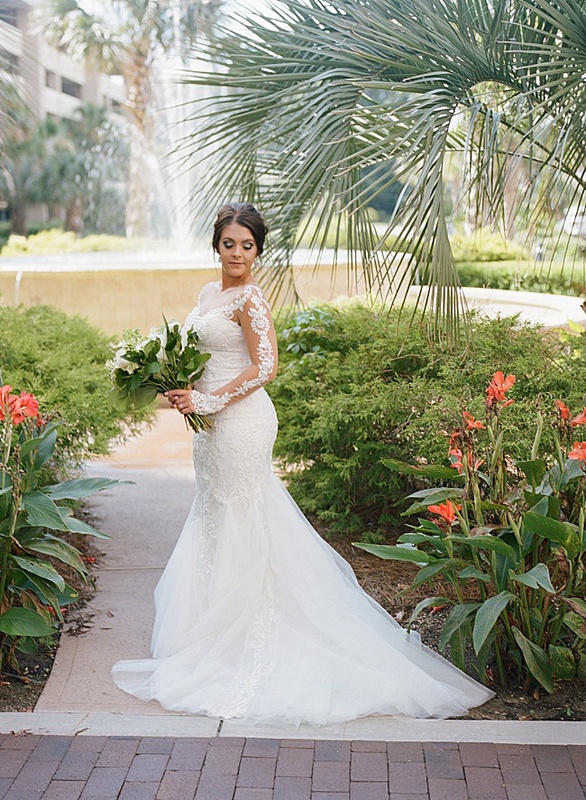 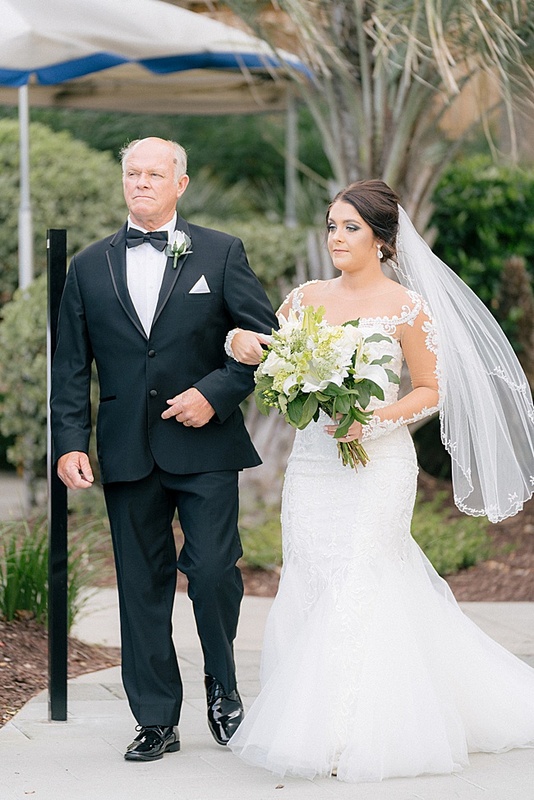 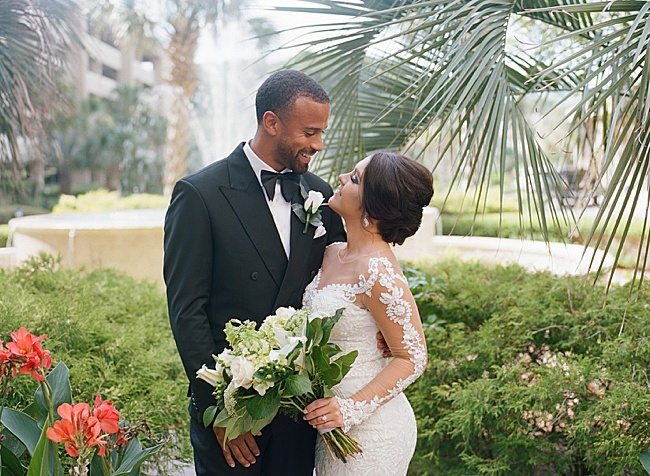 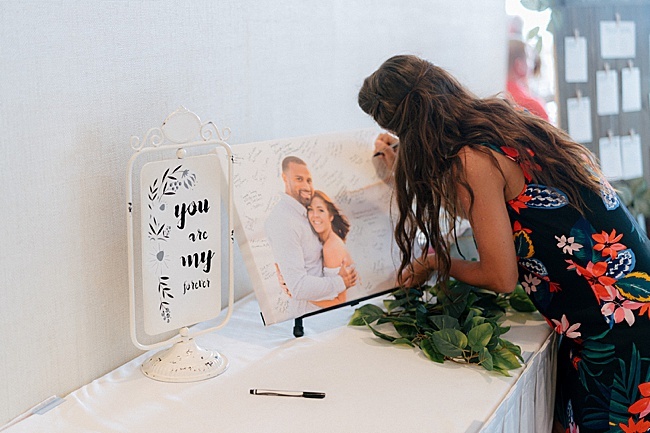 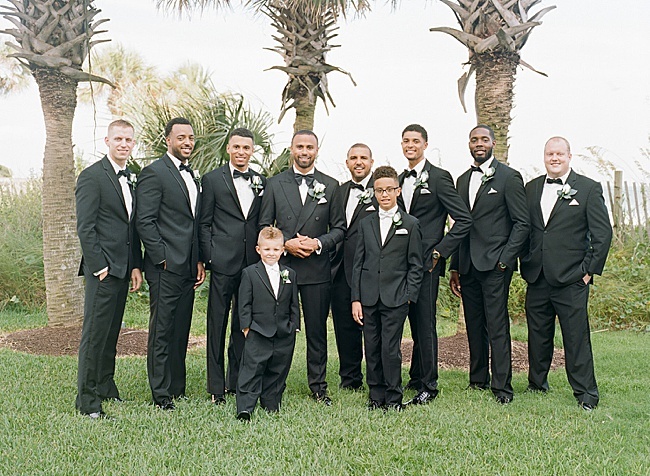 The couple planned their dream destination wedding at the Hilton Myrtle Beach Resort. 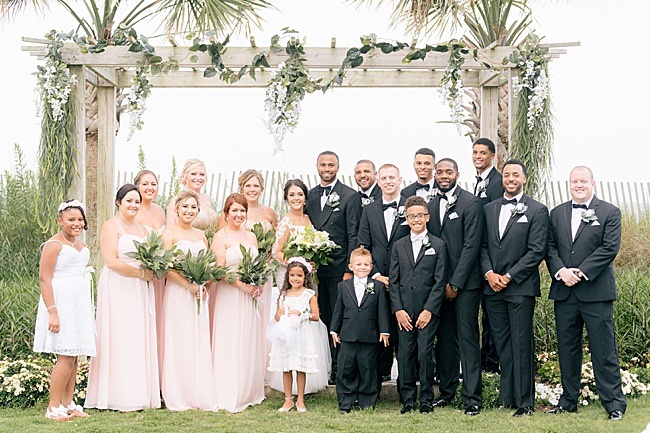 Their inspiration was an Ohio wedding taken south with some vintage mixed in, and Stunning & Brilliant Events helped bring this vision to life. 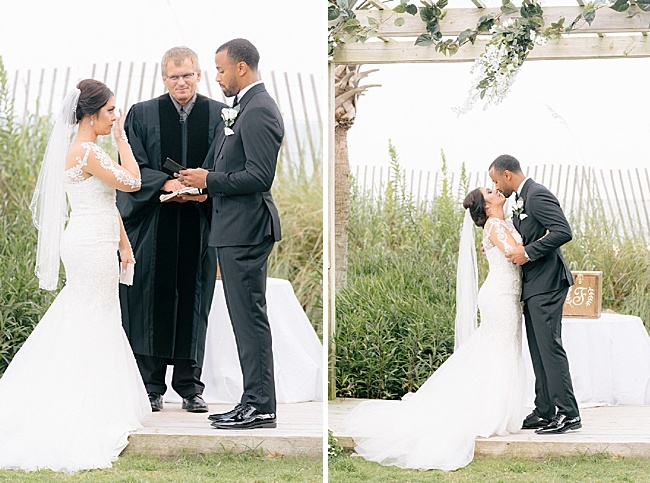 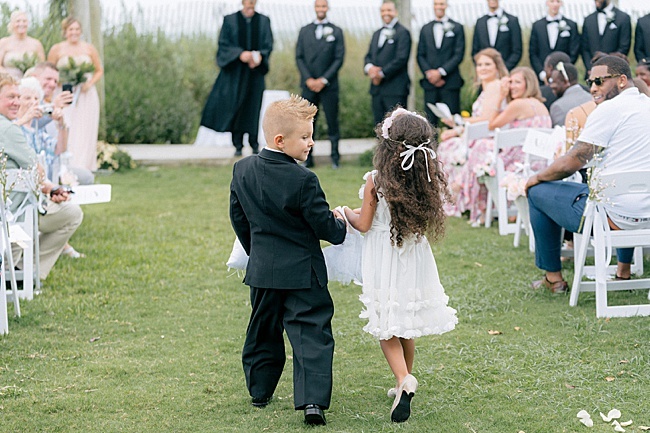 They love the beach, so they knew they wanted the waves to be the backdrop for their big day. 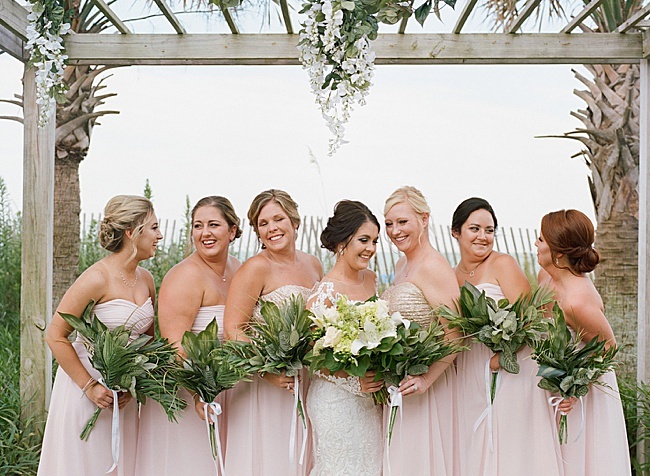 Everything was kept light, airy, bright and simple to complement the natural beauty of the ocean. 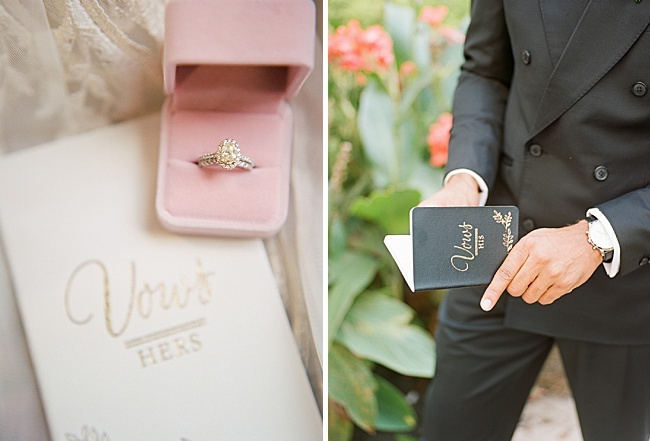 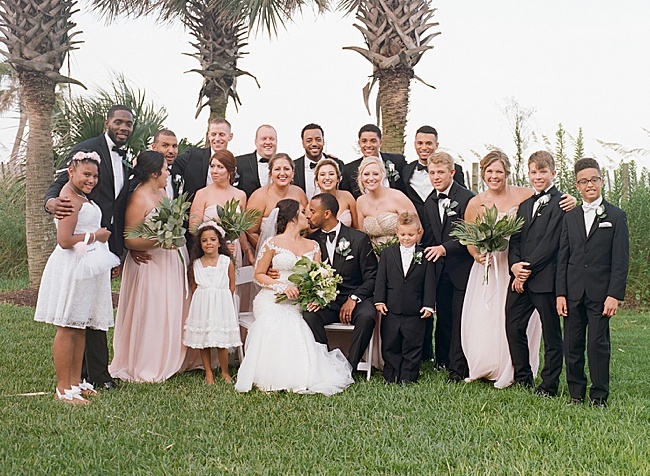 There was lots of greenery with white and blush pinks highlighted with pops of gold. 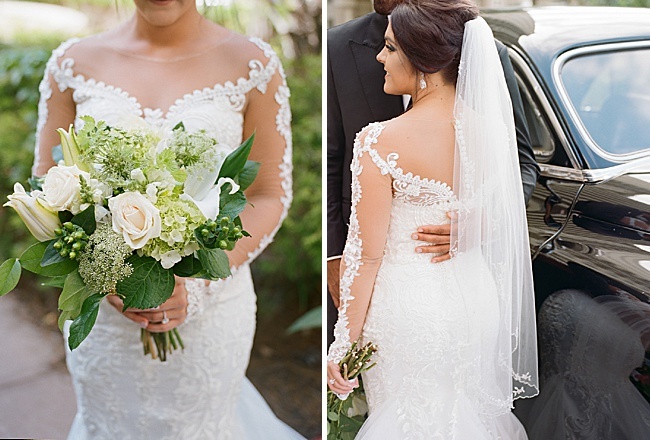 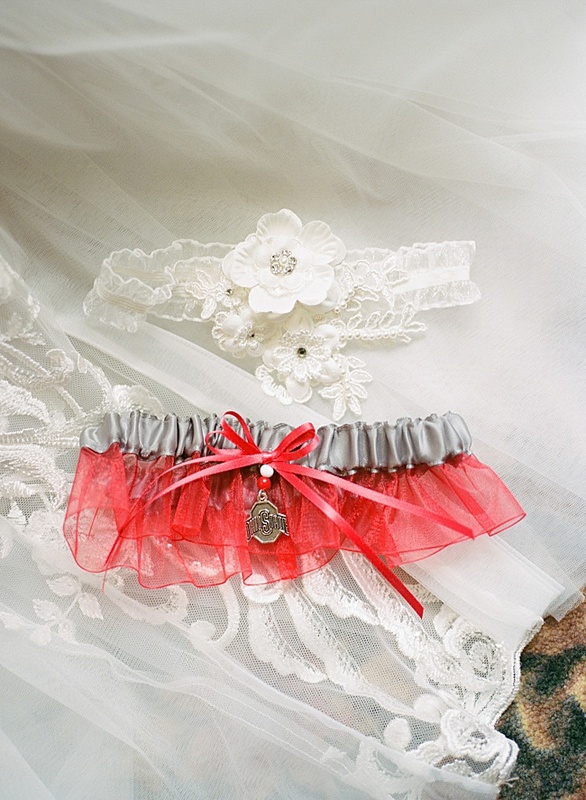 The bride’s bouquet included white peonies and roses intermixed with greenery. 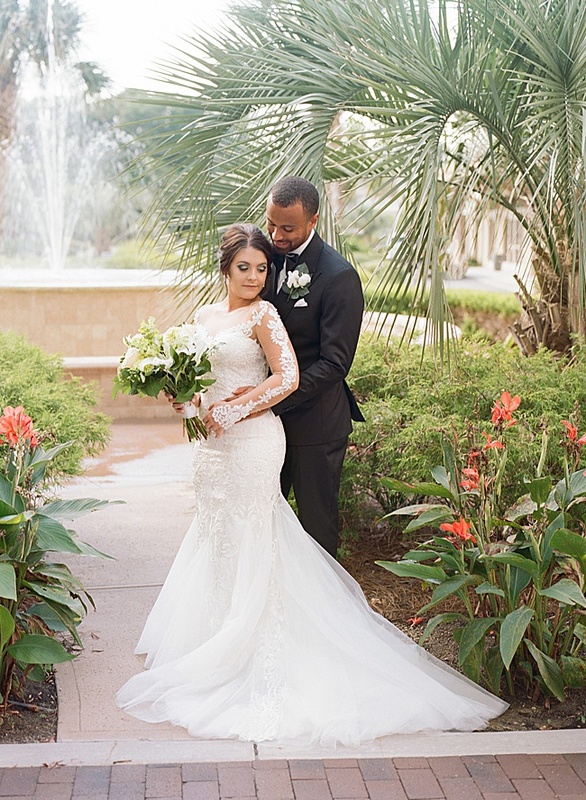 The couple did a first look, with both their outfits being a surprise. 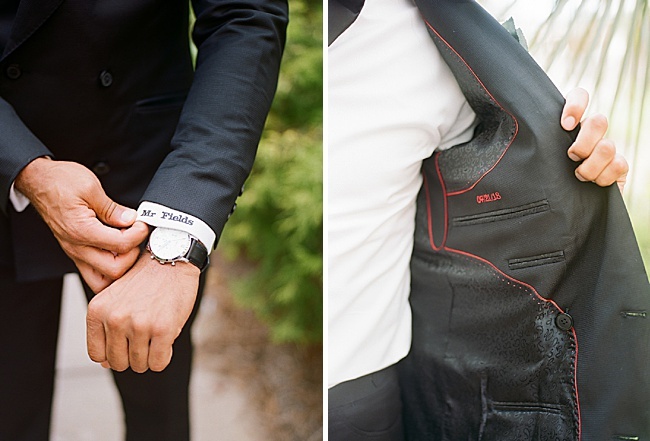 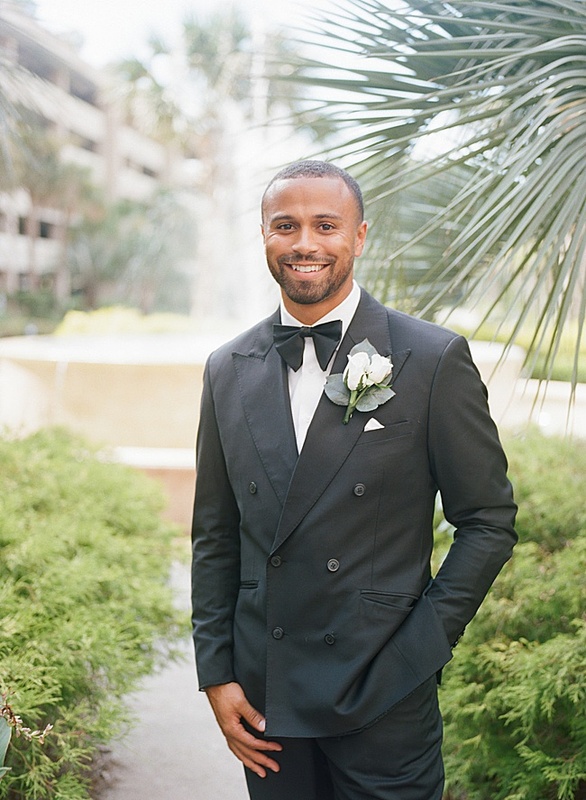 Chris, who sells custom suits for a living, rocked a double-breasted black suit with his name and the pair’s wedding date sewed into it. 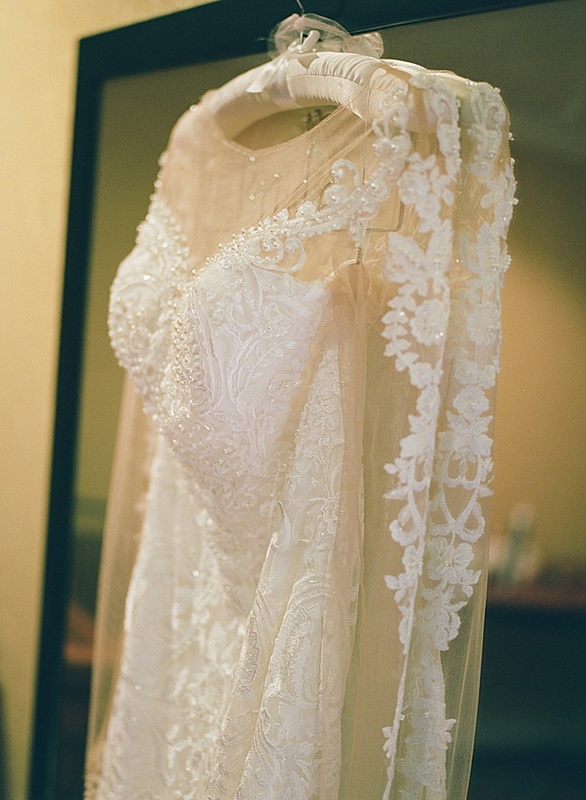 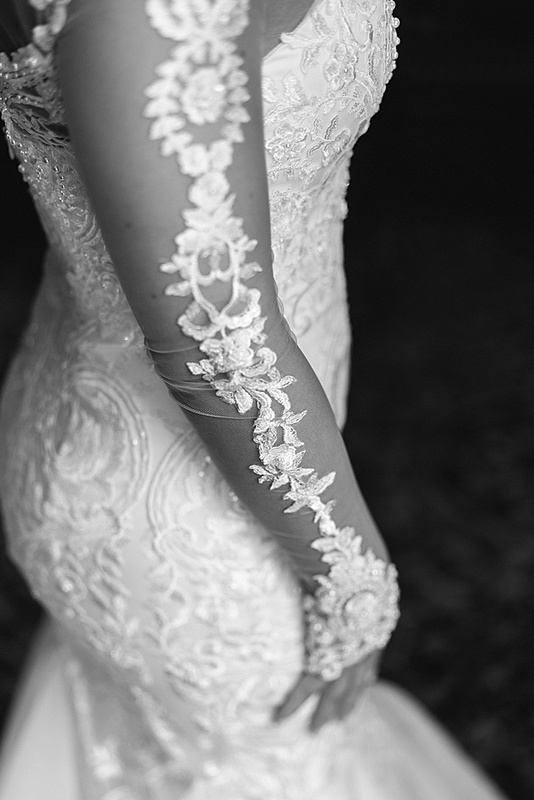 Shanda opted for a dress with sleeves, going for a timeless look. 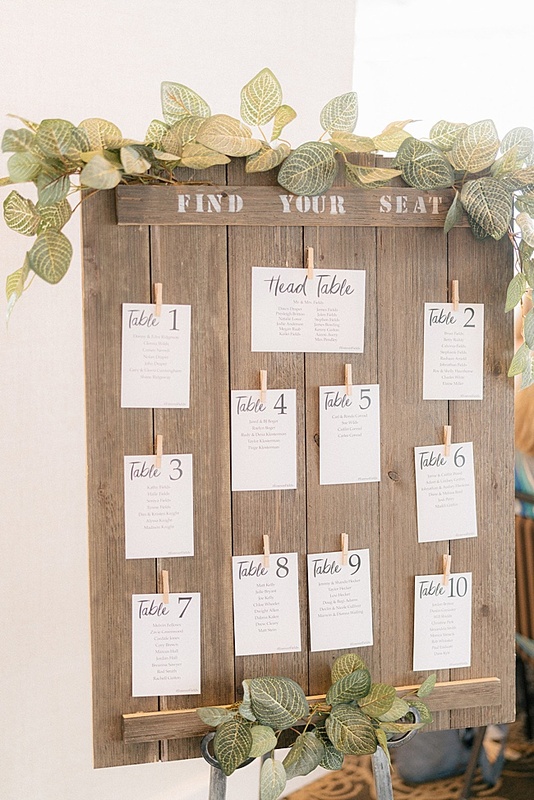 The reception space was also kept simple to match the theme of the day. 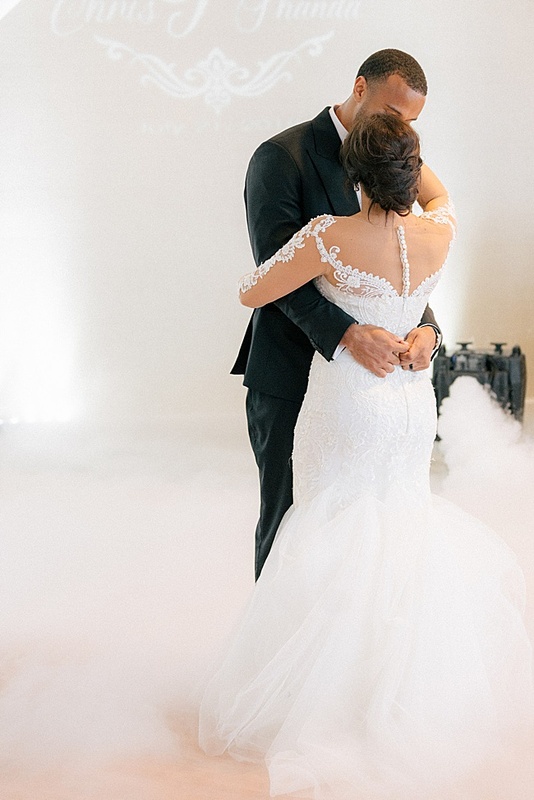 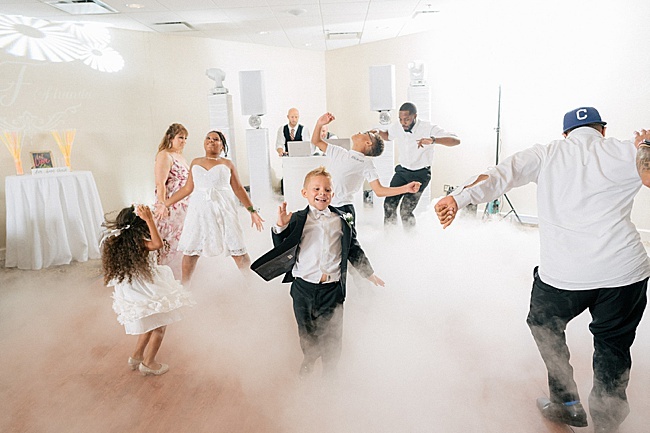 The couple danced on a cloud courtesy of Globaltruth Entertainment, which was something different that everyone loved. 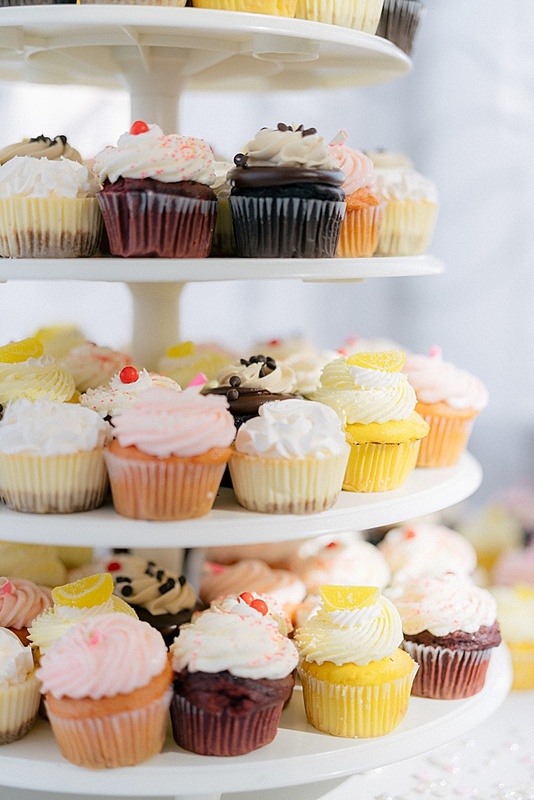 The pair opted for cupcakes instead of cake, and Coccadotts created the delicious treats. 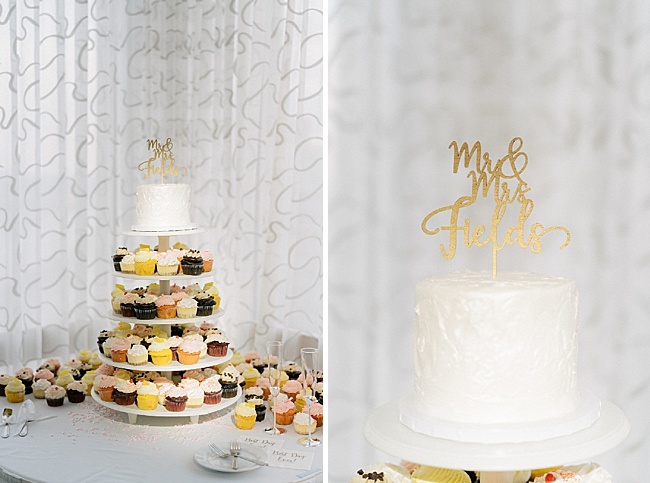 A candy bar with cookies and candy was a great mix of sweet and elegant for guests to enjoy. 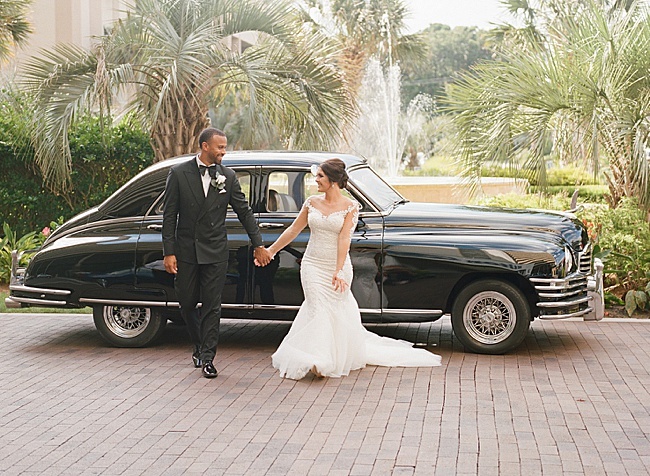 The couple used a beautiful vintage car from Carolina Limousine, which was the perfect touch for some memorable photographs by Gillian Claire.